The Tre Ver Condo. Potong Pasir New Condo Launch by UOL. 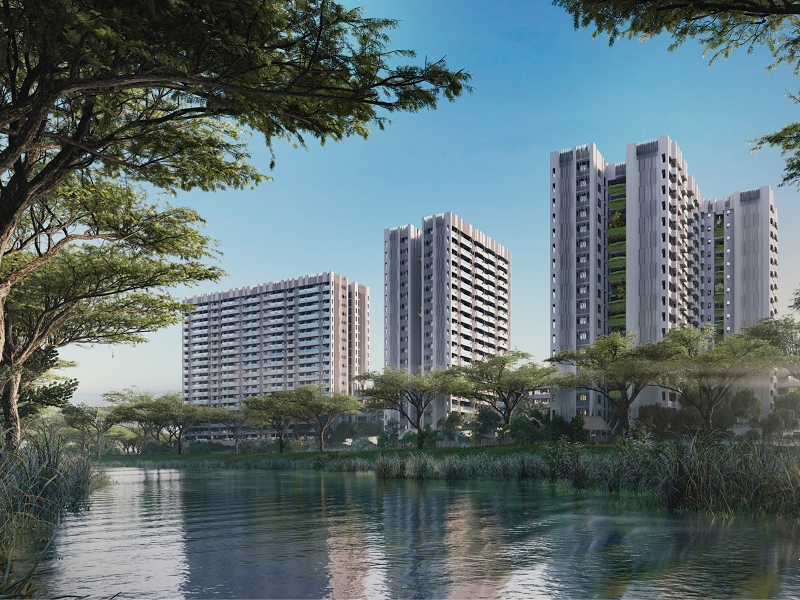 The Tre Ver is a 99-years leasehold new condo development located near to Potong Pasir MRT Station by UOL Group Limited. The developer is from the previous Raintree Gardens privatized HUDC estate which consists of 175 units. The new development will have an estimate of around 500 units based on the Gross Floor Area available for the developers to build. The Tre Ver is the 3rd collective sale to be successful after Shunfu Ville as well as Harbour View Gardens. It is estimated that each owner will receive an estimated of $1.9 million per unit with a market price of around $1.1 million for each unit. There was keen interest in the redevelopment of this site as The Tre Ver is near to many amenities. For a start, The Tre Ver is located near to the city fringe in Potong Pasir. With the development of Bidadari into a lush and tranquil oasis as per the government plans, The Tre Ver will benefit from this development as it is located just a few minutes drive away. Raintree Gardens is acquired under UVD Projects, which is a joint venture between United Overseas Limited UOL and United Industrial Corporation UIC. The new development will be named The Tre Ver Condo. The development of Bidadari will also benefit The Tre Ver as there are new plans to build a commercial development called the Market Square beside Woodleigh MRT Station. To cater for the increase in the population, most community facilities will be built around the area and this includes a bus interchange, a neighbourhood police station as well as other facilities. The area will be a new Bishan estate in Singapore. Besides the location in close proximity to many amenities, The Tre Ver is also near to established educational institutions. 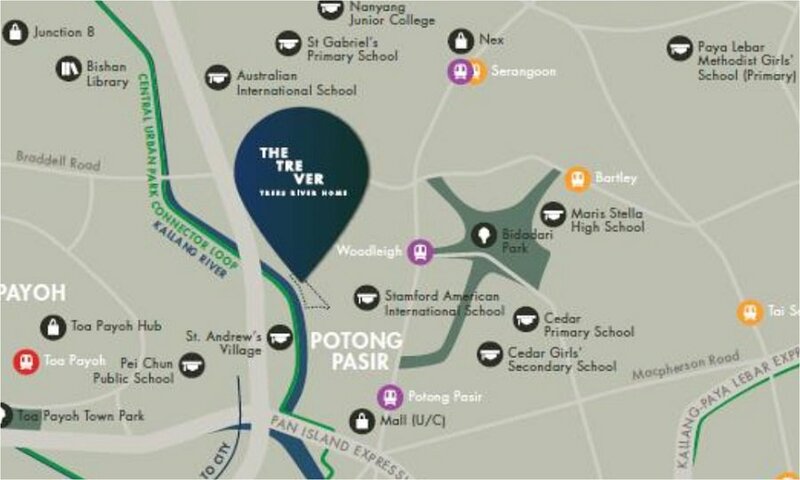 For example, The Tre Ver is near to Saint Andrew’s Junior College (SAJC), Saint Andrew’s Secondary School and Cedar Girls’ Secondary School. For owners looking at International Schools, Stamford American International School is also located just a few minutes away. Also, there are many commercial developments located near to the Former Raintree Gardens Enbloc such as the upcoming Market Square located next to Woodleigh MRT Station as well as The Poiz Centre where the whole range of commercial shops as well as retail outlets is available for the residents to choose from. The Tre Ver Condo represents one of the rare en bloc that is located at the city fringe by United Overseas Limited UOL Group as well as United Industrial Corporation UIC. Stamford American International School (SAIS) is an International School located next to Woodleigh MRT Station. It began operation in Aug 2009 and is a leading American and International School in Singapore. The Tre Ver will also be equipped with full condo facilities. For example, there will be a function room where owners will be able to conduct their own meetings or birthday parties in the comfort of their own home. There will also be a swimming pool available right at the centre of the development. Indulge in a leisure swim or engage a swimming coach for your kids to conduct their swimming classes at your home. Since the establishment of United Industrial Corporation, it has also helped other companies grow. For instance, the Singapore Land Limited which had been initiated in 1963 has already been dominated by the UIC. Since the UIC major developments dominated, the company have managed to be made by the company. For instance, it has grown to own 2.2 million square feet of office and much more of the retail space. Some of these well-known places they own since UIC took over include the gateway, Tampines plaza, Marina Square among many others. Apart from investment in real estate, UIC also offers computer services through UIC Asian Computer Services Pte Ltd which was incorporated in 1982. The main function that the company performs includes the provision of premium systems integration, payroll software’s, human resource outsourcing and IT services. To sum on this information, all we can do is appreciate the efforts that the UIC has been doing in ensuring businesses in the real estate investments across Singapore thrives. All of the projects that the company has taken over have grown to some of the largest properties in the country. More to this, it has contributed a lot in shaping the built environment in Singapore. Transport near to Tre Ver Condo is enhanced by the close connectivity of the Kallang-Park Connector. Woodleigh MRT and Potong Pasir MRT Stations are also found nearby and they both offer services via the North-East Line. For residents travelling to Singapore or the island, Kallang Expressway, Pan Island Expressway and Central Expressway are all available and it will only take residents less than 15 minutes to reach the Orchard Shopping Center and the Central Business District. Trever new condo is surrounded by multiple food centres and markets along the Potong-Pasir Avenue 1. Residents may choose to go to Joo-Seng Food Center, Geylang Bahru, Upper-Boon Keng Road, Bendemeer Road, Sims Vista 49, Whampoa Drive among other places. With the proliferation of new businesses all around Singapore, residential land availability is at an all-time low. This has encouraged developer’s renewed interest in the added areas beyond the Central Business District. Tre Ver fulfills all requirements of modern housing. In close proximity to the Central Business District, The Tre Ver former Raintree Gardens ensures that you don’t sacrifice greenery to stay close to the city. Options galore when you move to Raintree Gardens. So what are you waiting for? Come and have a discussion with us to explore the various options available especially to you. The Tre Ver	Overall rating:	0	out of 5 based on 0	reviews.